The term "ghost town" seems to be a relative term - I generally conjure up an image of abandoned buildings, tumbleweeds, overgrown foliage, off the beaten path. 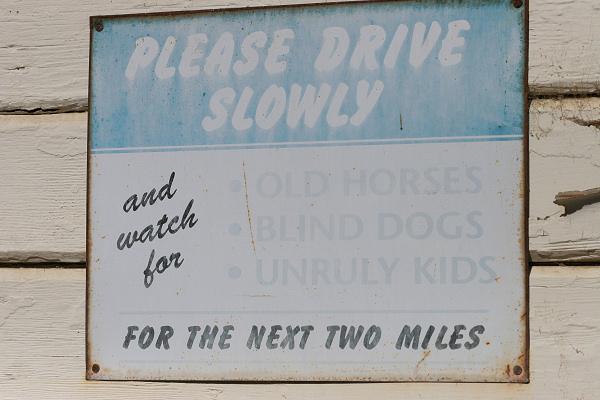 Seems others define ghost town more leniently as a place that is a ghost of its former glory or partially abandoned or even a town of some historical value. Yesterday I dragged a friend ( polyphonicvegan and her awesome gnocchi! 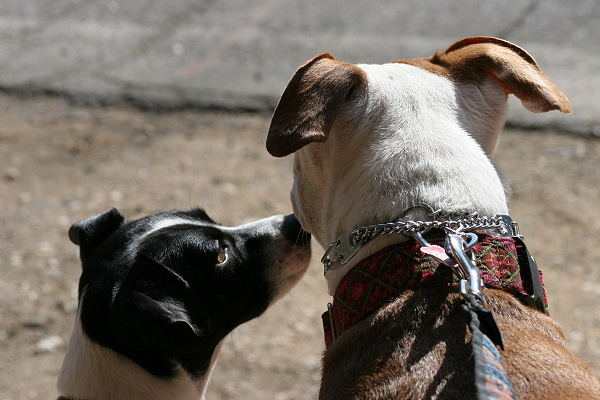 ), her dog George and Mina to two "ghost towns" in Amador County, California. 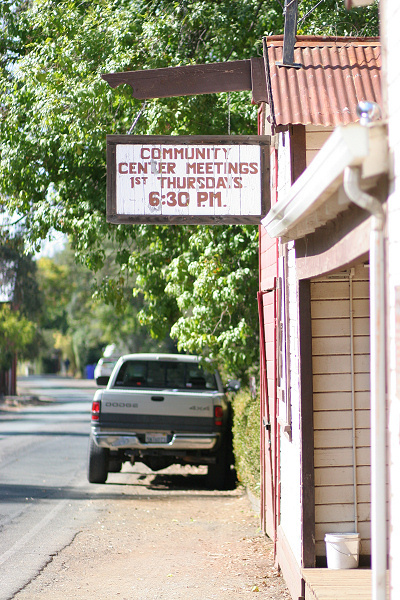 Fiddletown is a small, unincorporated community in Amador County, about an hour east of Sacramento. It consists of several historical buildings and one "main street". 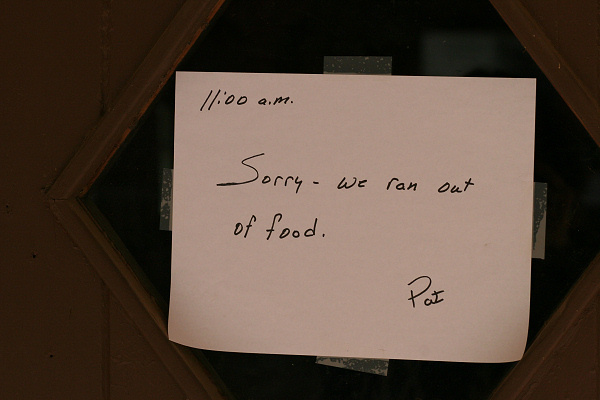 There are a few occupied houses on the main strip, but it seems most people live back in the hills. 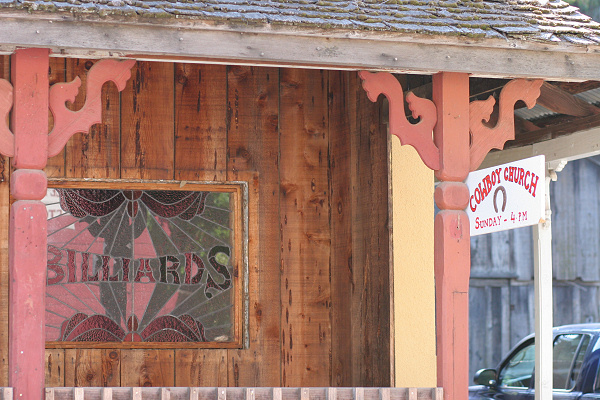 Like so many of ghost towns in Northern California, Fiddletown was a gold mining town founded in 1848. According to the Fiddletown Preservation Society, the town got its name from the "fiddling" around miners did during the summer when the Dry Creek was dry and mining couldn't occur (the type of mining they engaged in required a water source). Fiddletown is registered as a California state historical landmark. The town still boasts a community center (with monthly meetings) and a library that is open once a week for three hours (sadly not on the day we were visiting). At the community center, next to the public phone and a chained up stool, are walking tour guides for the town. We only visited the "main strip" with its community center and, my personal favorite, the Cowboy Church which also was not open. 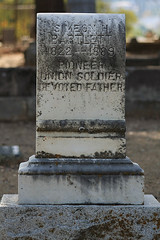 Jackson, California - also in Amador County - is hardly ghostly. With a population of around 4,000 and a apparently thriving (or functioning) downtown, I couldn't convince myself of its ghost town status. 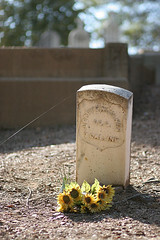 While we did wander around the downtown area (and purchased Cokes with real sugar and made in Mexico), we spent most of our time in the Pioneer Cemetery. 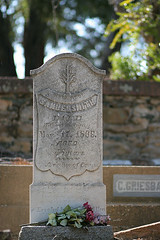 The cemetery is one of about 21 pioneer cemeteries in Amador County. 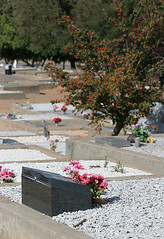 The cemetery is well-maintained, for the most part, and is still in use (as in people are still buried there). 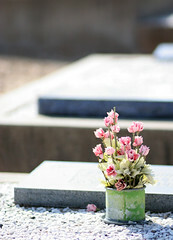 Almost every grave had silk flowers that volunteers put out. The thing I love about old cemeteries if the variety in how people are remembered - some have grand tombstones with essays or excerpts, some have beautiful markers while others have elegantly simple crosses. 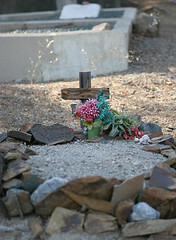 There are big markers, small markers and the sadly forgotten graves. 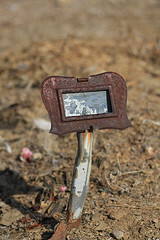 Some don't have markers or their tombstones were "misplaced" or damaged and staff have replaced them with metal stakes. I find it quite lovely. I've been wondering about Jackson since I drove through there last year. Have you ever checked out New Idria?